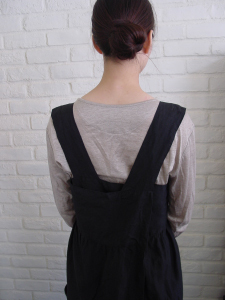 Free size simple apron which you can put on like a dress, with shoulder straps crossed on back. Length approx. 108cm but you can make longer or shorter. 2 rectangular pockets on bodice.